Believes the Wii U audience "has a voracious appetite for content"
Pure Chess, alongside the Nnooo-published Cubemen 2, is forging ahead on new ground for Nintendo systems by introducing cross-platform online multiplayer. In both cases Wii U players (also on 3DS in the case of Pure Chess) will be able to take on other players that are on smartphone and tablet platforms, another demonstration of Nintendo's increasingly supportive and open approach to download-only games. 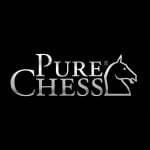 While hooking up with multi-functional iOS and Android systems is a pleasing progression, Pure Chess publisher Ripstone has confirmed that it's planning to open up its multi-platform multiplayer to allow Nintendo system owners to tackle those that have the game on the PS4 (when released), PS3 or Vita — actual console wars, in chess at least. Here's what Riptone's Phil Gaskell said to Eurogamer about Nintendo's approachability and the plans to bring Sony and Nintendo gamers together in the title. We're still talking to Sony about them relaxing their policies, but we don't think they'll have any issue with it. So when we launch Pure Chess you'll be able to play against Wii U, 3DS, iOS and Android players. And when we patch PlayStation those consoles will be added into the mix as well. Gaskell also explained his company's thinking in moving to Wii U, despite existing sales and userbase figures not necessarily inspiring confidence. When I read about people like EA pulling out of the console, I perk up because I think, well, if they're not serving the audience that exists with games someone needs to. I know by looking at some of the statistics that while Wii U doesn't have a huge audience right now, that audience has a voracious appetite for content. And if no-one's going to serve them games, well, Ripstone will, without a doubt. Indie games don't need huge audiences They're often personal and niche creations. They only need niche audiences to be profitable. Would you like to see more multi-platform games support online multiplayer across different consoles, and what do you think of Gaskell's comments? Let us know in the comments below. Kill those Sony mofos! At chess. Lol very nice article, support this guy! "When I read about people like EA pulling out of the console, I perk up because I think, well, if they're not serving the audience that exists with games someone needs to." I almost spit out my orange juice when I read this and will probably buy this Chess game because of it. I'm going to have to file this under "believe it when I see it", like the Toki Tori 2 level editor - but it's really good to read that somebody is at least trying to do this w/ Nintendo and Sony. Can Android and iOS play games against each other yet? @DrKarl Hm, yes, I've fixed that. I can't fix it in the source interview though! Why can't more people make games like this instead of bullcrapping and giving supporters of one system the short end of the stick? Hopefully before long companies like this one will be at the forefront of the gaming industry. Interesting. If widely adopted it would take away one differentiator - i.e. 'I'm getting this game on 360 because I like to play on-line and that version will have the bigger community'. Hmm i was thinking about getting this, but with this comment from them, im sure to get this. @Kodeen - Thanks, that's good to know. My wife is thinking about getting an "i" something. I'm sticking w/ Android. "Pure Mahjong" (not the match-2 game) please! There's also Shadowgun Deadzone available if you ever feel like gunning down iOS players. @ajcismo Yeah - this guy has a brilliant understanding of marketing. Go where your competition isn't. @Sean_Aaron As long as it's anything like the classic game, Hong Kong Mahjong Pro, then sign me up too! I play quite a bit of Mahjong myself, the proper variety, not the match 2 ones. F.YES cross-platform multiplayer. U SERVE that audience Ripstone. Serve them well. @cornishlee: #11: Well, the problem is that this game is not announced for Xbox at all. Microsoft don't allow cross-platform play. I will get it on Wii U, especially because of the way the developer thinks. They beg for my money. The same reason why i bought Toki Tori 2, and why i will buy their 3 next Wii U games even when i already own all of them on Steam. The price for PS3 version is about 5 bucks, and over 10 bucks including all DLC. A pinpoint on Wii U price. @Angelic_Lapras_King: RE Revolutions, 6 months after release still have several servers on Wii U. Not everything dies quickly. @Ventilator Something as basic as Chess will though. @Angelic_Lapras_King: Not everything comes to all platforms. Its doesen't matter how simple and complicated it is. I also googled it, and no plans for Xbox release. Remember that many Indie devs don't release on 360 at all, because its too much hassle. Even MS admitted that sometime this year. When that said, i own 2 Xbox 360's, Wii U, 2 PS3's, VITA, Wii and many older. They're correct. They're absolutely correct. I love the heck out of Nifflas, I'm so glad that they're porting Knytt Underground to Wii U. It's a day one purchase. I should learn how to play chess..
More developers should do cross-platform online multiplayer so they can make dedicated servers without worrying about depopulated servers for a particular system. This way there won't be any exclusions of multiplayer from a system that doesn't have a lot of people or so they say (Arkham Origins) and they don't lose money making dedicated servers and online features. Now this I'm really considering getting. Give this guy the Nobel Prize for Not Being an Idiot in Video Game Publishing. I'll believe it when I see it but I wish the guy the best at trying to get this done. Yay, multiplatform play. I'm sold! This is great forward thinking by both the developer, and Nintendo for making it happen. I hope there can be more games that allow cross-platform online. Games like chess would be a natural. Ditto for trivia games like Jeopardy or trivial Pursuit.